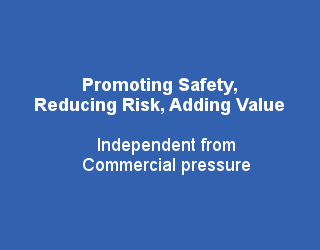 The Safety Assessment Federation (SAFed) is a trade association, formed in 1995 to act as the trade body for the UK and Irish independent engineering inspection and certification industry, which represents the interest of its members in the independent engineering inspection and certification industry throughout the United Kingdom and Ireland. Richard Hulmes Chief Executive of Safety Assessment Federation visited Scotia NDT to conduct an assessment audit of our processes and procedures, enhance how we operate within the inspection and testing industry and to ensure we are committed to the safety standards required by SAFed members. We are pleased to announce that that on completion of the audit and SAFed Board meeting we have been accepted as an associate member of SAFed. So why use a SAFed member? SAFed members operate as independent inspection and certification companies and work with the enforcing authorities and its members to provide a range of services primarily assuring safety of plant and equipment, but also designed to assist clients in understanding their responsibilities and obligations, complying with the law, reducing risk and the consequential costs of accidents. SAFed Member Companies provide statutory and non-statutory equipment examinations and inspection services to national legislation standards.